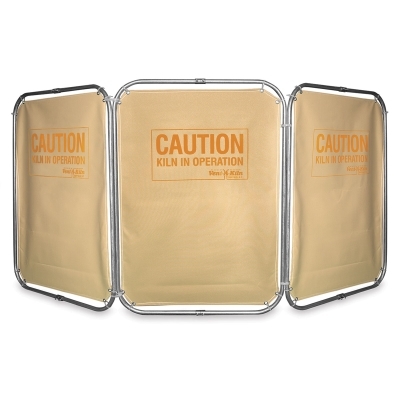 Protect hot or hazardous areas with this safety screen. Its three 2 ft × 3 ft (61 cm × 91 cm) panels are made with sturdy aluminum frames and fire-resistant curtains. When not in use the screen can be folded. Extra single panels can be added onto frame.